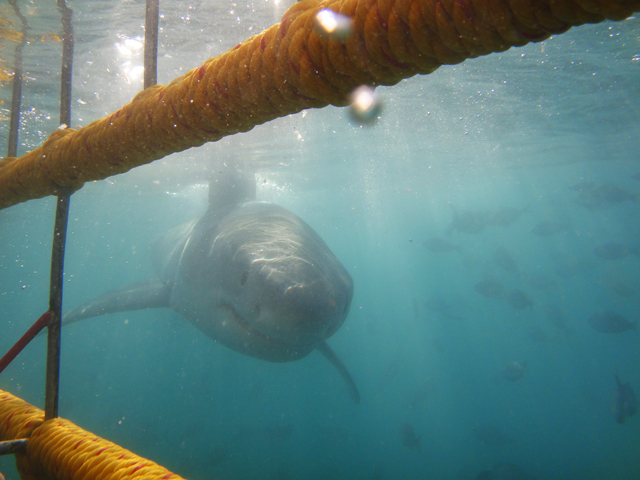 Kleinbaai is home to Great White Shark cage diving in South Africa. Lured by 50 000 Cape Fur Seals living on Geyser Rock, the Great White Sharks frequently hunt in Shark Alley, the narrow channel between Geyser and Dyer Island, a protected African penguin breeding ground. 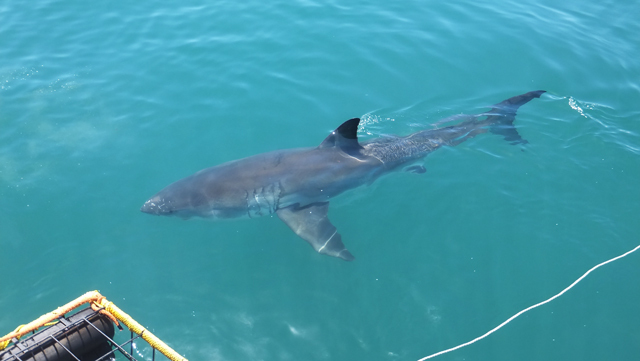 All shark cage diving boats launch from Kleinbaai's natural harbour. Viewing from the boat is as good as from inside the cage if you prefer not to dive. Along with the thrilling experience of seeing Great White Sharks up close, there’s also the chance of spotting whales, African penguins and numerous sea birds on the trip. The excursion takes between 3 – 4 hours. No scuba experience is required. Source: René Beukes, White Shark Guest House, Kleinbaai. 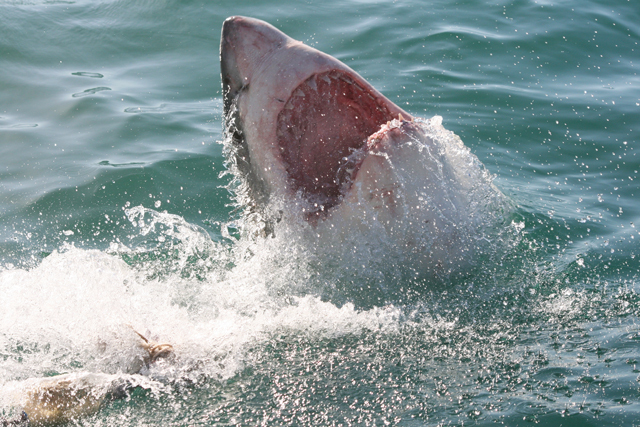 At the end of Geelbek Street, you will find Kleinbaai Harbour, the launch site for shark cage diving boats. Shark Cage Diving Kleinbaai is 0.6km from the centre of Kleinbaai , the nearest airport 110.7km (Cape Town International Airport).